Willowood Glufosinate 280SL is a non-selective herbicide for post-emergence broadcast use on tree, vine and berry crops. 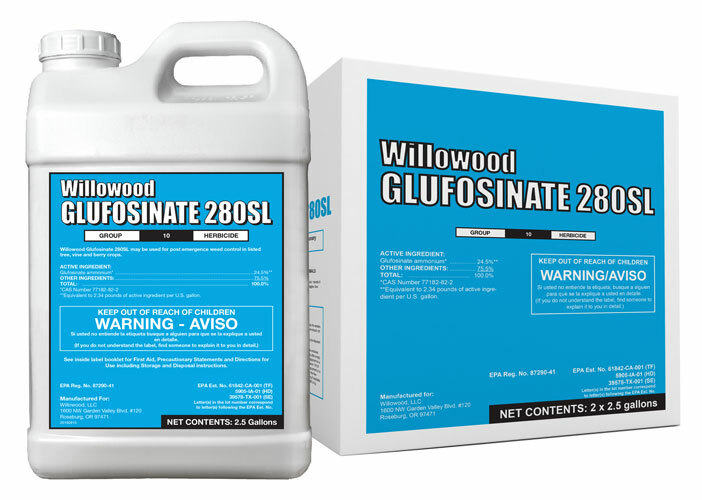 For specific use instructions see back or refer to Willowood Glufosinate 280SL product label. RELY® is a registered trademark of BayerCropScience.